Zeezok Elementary Classical Music Curriculum For Homeschoolers! Are you looking for an easy to use classical music curriculum that will teach a wide age range? Look no further then Zeezok! They have produced a fantastic music appreciation curriculum for the elementary grades! I grew up in a family that loved music. Not just my immediate family, but all my extended family as well. I have many memories of singing with my grandparents and aunts, as well as my mom and siblings (my dad can’t carry a tune so he listened and paid for music lessons!). I have worked hard to pass that love of music on to my own children, and so far all of them adore music! I want them to not just love music, but appreciate the foundations of music and the great composers of the past. I knew that I would love the curriculum from Zeezok. We had checked out one of the books in the series from the library (an older copy) several years ago. My mom read it to some of my children a few months before she passed away, and these books hold a special place in my heart because of that. Amazingly, I even have a picture of her reading the Beethoven book out loud. The curriculum has been wonderful for our family, because it has worked for multiple ages and grades. 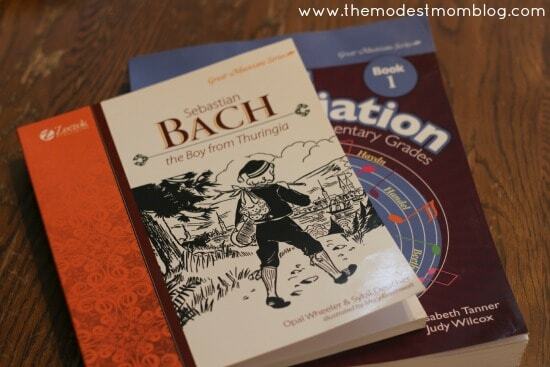 My 10, 8, and 5 year old have all cheered when it is time to read the Bach book, and they all love listening to the music that goes along with the curriculum. Not only that, but they have started looking for music written by Bach when I sit down and play the piano. While you could just sit and read the books by themselves, the student activity book that goes along with the books is incredible. I can’t imagine going through the series without this book. My children have learned about instruments, studied maps, talked about character traits, answered comprehension questions, and much more. Included in this curriculum is a lapbook CD. Every book has lapbook pages that go along with it. I have to admit this is the part I was most nervous about. I can sew but I can’t craft. We have never done lapbooks because the thought of it made me nervous. What if I couldn’t fold the lapbook right? What if the whole project ended in tears? I was thankful the CD provided all the detailed instructions we needed to make a lapbook successfully. I’m not going to say it was my most enjoyable part (because like I said, I’m not a crafter!) but I did enjoy doing something a little bit different with my children, and plan to make all the lapbooks with the children. There are seven different composers included in this series. If I was the amazing homeschool mom that kept everything on schedule and was not also working from home full time, we would go through this curriculum in the time frame given. Each book is supposed to take 4 weeks. We just are not able to get through it that fast, but that’s ok. That’s the beauty of homeschooling, you can do things on your schedule! I think it is totally doable to get through it in 4 weeks, just not for our season of life. One of my favorite parts were the music CD’s that go along with the books. As you read through the story you will learn about different songs that Bach composed. It might be a song for the Duke, or a new piece for church. When you come to it in the book, the music is written right there, but it is also on the CD. We always stop and listen to it right then, and keep reading after we are done listening to it. My children don’t want to stop listening, they love it so much! Another fun thing we enjoy doing is dancing to the music. We all hold hands, get in a circle, and jump up and down. Not only does it help burn off energy, it helps the children connect to the music. For slow songs we are not as silly. 🙂 Fast and energetic songs we can get quite silly and boisterous! I’m thrilled that we have this curriculum, and I know we will enjoy it for many years to come. I think any type of homeschooler would enjoy this, whether you are a textbook mom or a Charlotte Mason homeschooler! You can follow Zeezok on all their social media platforms, including Facebook, Twitter, Pinterest, and YouTube. 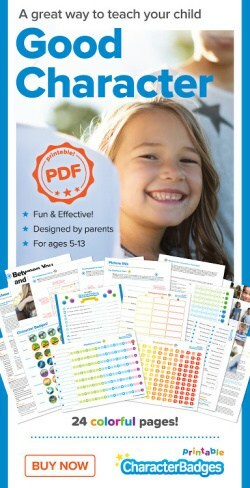 Zeezok Publishing is graciously giving away a complete curriculum set to one winner! If you decide to purchase a set during the giveaway, and subsequently wins it, Zeezok will issue a refund of the purchase price. Prize shipped only to US mailing address. Enter Feb. 17, 1:00 AM to March 20, 11:59 PM. Winner will be chosen and notified Friday, March 21. « An Adoption story written by God! 105 Comments on Zeezok Elementary Classical Music Curriculum For Homeschoolers! I so look forward to introducing my daughter to great musicians! This sounds like a great music course. Would be fun to do during the summer months with my girls. I don’t know which composer, because with only a few rare exceptions, I don’t know much classical music to know who composed what! But, I’d like some semi-organized way to expose my children to a broad range of classical music. I’ve been looking for a good classical music education program! I love classical music, and I know my kids don’t get enough of it. This curriculum sounds great! I enjoy classical music and would like to instill that same joy in my children. This curriculum looks fun to use and easy to implement. I would enjoy studying Chopin. I am going to need help with music appreciation when my kids get to school because neither my husband nor I are gifted musically. I don’t have any child-appropriate books on classical music (though my husband works for a classical radio station) so this set would be a great addition to our curriculum for our 4 children. Would love something to help with music appreciation. I am not musical at all. I would love to have something already put together that would help me teach my kids about music! I have a hard time knowing where to start on my own :). Thanks! This looks terrific. My girls are learning violin by the Suzuki method. This Zeezok program would be an excellent way for them to learn even more about music. I am currently searching for a music curriculum for our homeschool. This looks perfect! I think my girls and I would love to learn about Beethoven. Sounds like a great program, thanks for reveiwing it for us. This looks so fun. I have to say I am lost when it comes to introducing my kids to classical music and history. I would live to teach this to my kids! My husband is a huge classical music fan…but I know nothing. He’s be so impressed with my sudden knowledge! I love the looks of the student books. I hadn’t seen those before. And I can never choose my favorite. I love Handel because of The Messiah. Beethoven is amazing. Mozart is just plain fun. Vivaldi is calming. And I don’t know the rest well enough to comment!!! 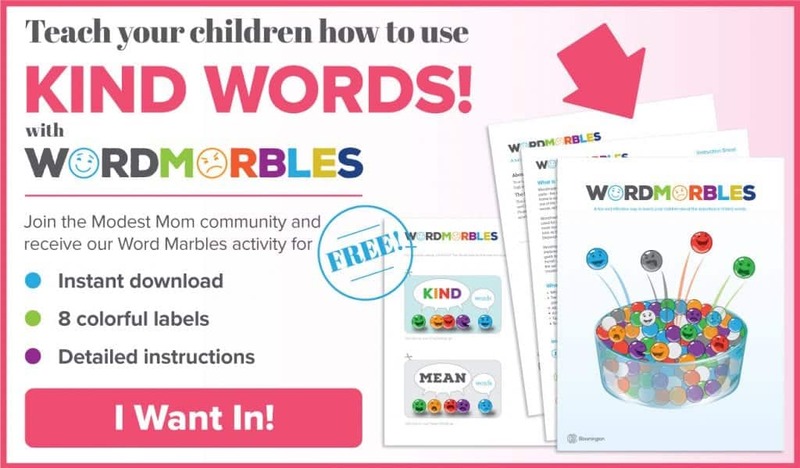 This would be a great additions to our homeschool curriculum! 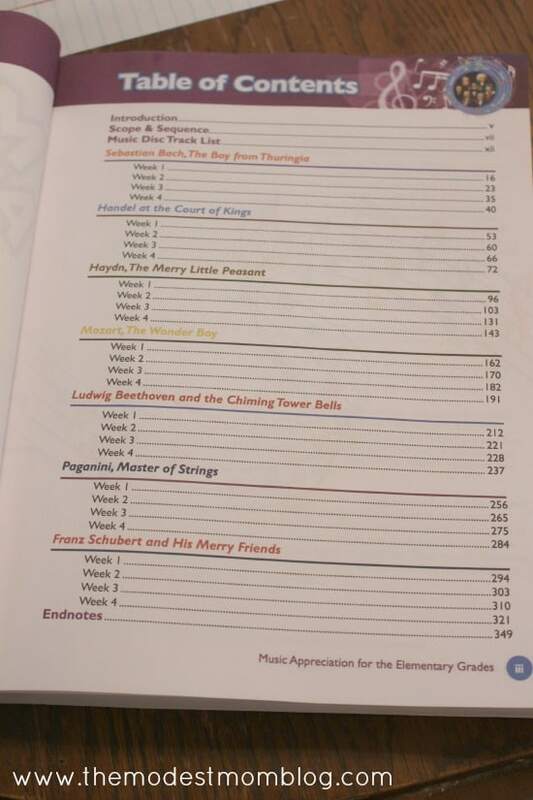 I plan to homeschool and love the idea of an organized program for music appreciation! I would love this for my kids and be able to teach them more about music and teach them young to love it! I would love to teach my kids more about music and help them to love music! Music is such an important part of learning. This program looks great!!! This looks great! I have been wanting to add a program like this to our studies! Any of the composers would be great to study. We used to be part of a homeschool co-op that learned composers, but since we aren’t anymore, this curriculum would be perfect as I don’t currently teach music at home (my oldest daughter does take piano lessons). This looks fantastic! We have very little with music because it intimidates me! I would love to try this out! WE are just starting homeschooling (my oldest is 5), but I have been wondering what to use for music instruction! We love classical music and learning about composers! This program looks great. We try to follow the Charlotte Mason method and I always struggle with the composer study, so we just don’t do it. This just might fit the bill! I have a great appreciation for music- classical in particular. It has been my desire to teach children about the different composers and hopefully develop in them an appreciation for music, but I was not sure how to go about it. This curriculum looks very helpful! My children love music of all types. This would be an incredible investment in their music education! I love classical music and want to pass my love of classical music down to my children. Very interesting! I would love to do this with my daughter. This looks like another one to add to my resources! This looks wonderful! 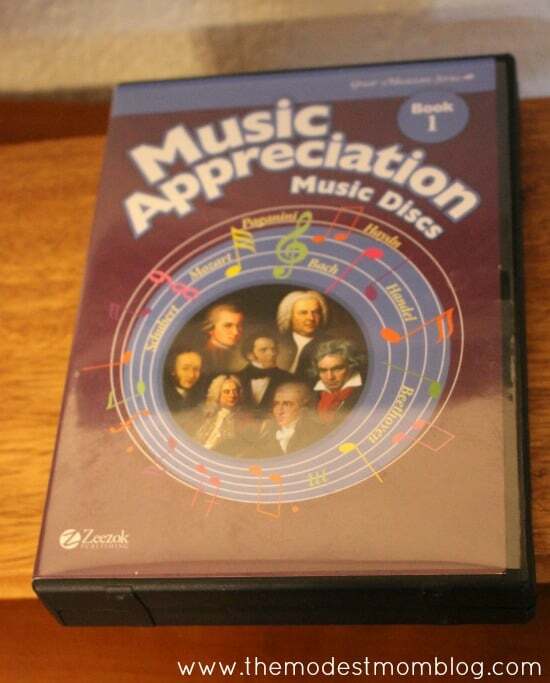 I look forward to introducing music appreciation in our family. We love music but I could use some help in implementing a more structured way of studying it! Our kids love music & everything about it. My favorite genre is classical. I want to be able to teach them to appreciate all aspects of music and learn as much as they can about it. I could really use a streamlined curriculum to help teach music appreciation. Right now I just kind of wing it, use Pinterest, or, most often, don’t teach music at all! I will definitely be keeping this curriculum in mind. How much time’s worth is a “complete curriculum set?” Is this, say, a year’s worth? Thanks so much for hosting! My girls would love this curriculum! Looks like fun! We currently do My Father’s World and there is a big emphasis on classical music, but I always find myself forgetting to play the CD. I know I would be more diligent about it if I had a whole curriculum for it! My favorite musician is Bach. I love teaching my children about composers and we always have music on in our house. I particularly stress to them that music was created that we might praise The Lord in song. Training them to make a joyful noise and to use their voices and lives for his glory rather than their own glory is a huge part of our job as Christian parents. Thanks for this giveaway! I would just like to learn more about all of them. We love music but I haven’t found a good music appreciation course yet & would just like to try something! This is interesting. I wonder if they’ll be at our convention. I would love to win this course. I have been looking for a course like this. Looks very interesting! We love music around here. A little pricey, though. I gave been wanting to do a music curriculum for our home school, but have not ever been able to afford it! I would love to win this!! I would love to win! We do nothing for music appreciation. It would be something fun for the summer! I love Mozart. I need help because even though I play piano myself, my brain after 20 years and 3 kids has forgotten most information not related to playing hymns. Would love to win! 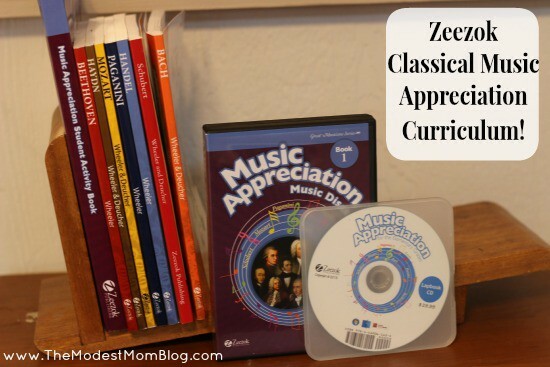 We have not yet started music appreciation and Zeezok looks the perfect curriculum to start! I would love not only for my son to learn about the composers, but I would love to learn more about them myself. LOVE classical music! This looks like a great curriculum. I think learning the stories of the men behind the music would make it so powerful and memorable. My five year old already loves Bach, so this would be amazing for us to win. We can’t afford a music curriculum at this point! I would like to get my kids an appreciation for classical music. I am pretty lost when it comes to music, but we have started learning together! 🙂 isn’t homeschooling great that way! 🙂 this sounds really interesting…. I love music and look forward to learning more! I think we would love to study bach! I would love to study Chopin, because I enjoy playing his music on the piano. I could definitely use some help teaching my daughter about different composers! My sons love music and their dad has played piano for at least 25 years. This would be a great addition to our homeschooling! Thanks for the giveaway opportunity! This would be a great program for our family – 7 kiddos ranging in age from 10 down to 6 months old. I don’t have a lot of experience with the details of music composers and their stories but making it great fun for the kids sounds really helpful. I’ve been thinking about teaching about classical music or at least listening to it more in the home. This would be a great way to do that. I am with your Dad & need all the help I can get with music education. Umm, plus do you realize there is a very immodest woman in the sidebar ads?? this looks amazing! We love music in our house, what a great way to teach it! 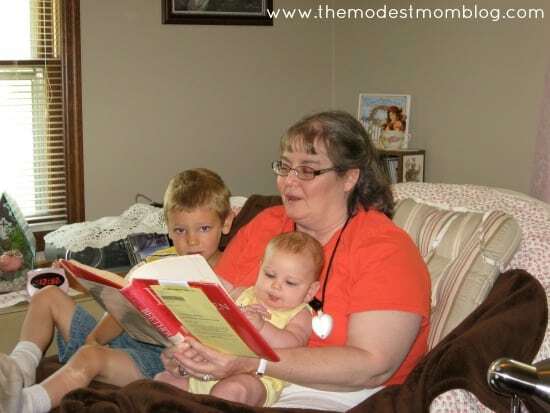 I loved learning Mozart when I was younger, and would like to teach it to my children. I love the fact that the CD comes with the curriculum-after all it is music! I just need curriculum that is all put together for me. Would love to do this with my children. I was exposed to classical music my entire growing up years but I never received any formal education on them. I also spent a lot of time in choir and I’m good at reading music that didn’t teach me much about the history of the great pieces of Western music. I’d love for my children to have a better understanding of those things. My husband and I are both music teachers, so it’s important to us to teach our children to love good music, including classical. We homeschool and my mom is a piano teacher. ALL of our family, grandparents included, can sing or play instruments. We love music, it’s in our blood! We would love to add this to our curriculum! Thanks for the opportunity! I’ve seen this company at a state music conference. The resources are great and I would love to have the full set! This looks amazing. Although I LOVE music I really have very little knowledge of it. I would love to learn this along with my children! Although I’ve taken many years of piano lessons, I haven’t done too much in depth studies of the classical composers. I’d love to be able to learn right along with my children and this looks like the perfect opportunity! This looks like a great program. Music is an important part of a well-rounded education! My children love to learn about music composers so this would be perfect! Thank you! I would like to know more about Bach. i need lots of help in the fine arts department at home! thanks! We love classical music and this set looks terrific. I think we would all learn a lot from it. 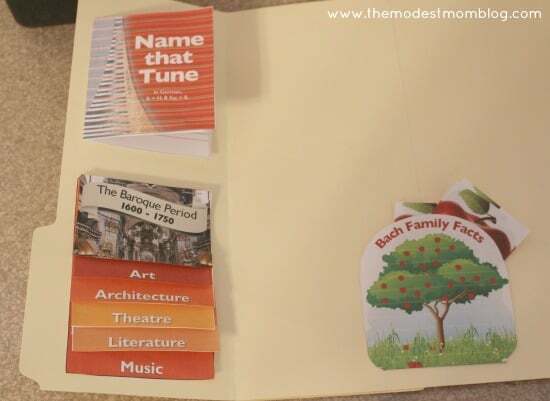 My whole family loves music this would be such a neat addition to freshly started homeschool! Have you used any of the other Zeezok materials? I have been looking for ways to introduce the composers. This looks great. I’d like to study Bach. My son loves music; these would be great. This looks like a wonderful curriculum. Thanks for the giveaway and sharing about this. We love music and I love sharing it with my kids! This looks like it would be a perfect addition to our unschooling! As a piano teacher this curriculum looks amazing! I would love to use it with my own children! I know nothing about music, but my daughters wanted to learn to play the harp and piano (one also wants to learn several other instruments, too). Until I started homeschooling I didn’t realized God had gifted them in this area. The girls are in 6th and 7th grade, but this is only our second year homeschooling. Classical music appreciation would be an amazing and fun thing to add to our day. They hate boring reading and this sounds fun and much more creative than I could come up with on my own! This looks AWESOME! i’d love to study Handel and Hayden–you’d learn right along as you teach! This curriculum looks amazing. It’s very important to me to give my son’s a good foundation in loving and appreciating classical music. This sounds like just what I would be looking for. My kids are interested in music and they would just love this! It’s wonderful you have that picture to go along with such a wonderful memory. God bless you and your family. I would love this! We would probably love to study Tchaicovksy, since my girls are so interested in the Nutcracker, but I’d also like to study Mozart and Beethoven, of course. I really want my children to have an appreciation for all kinds of music, but especially classical–there’s just not anything close to it anymore. looks like a great program! I love music myself and like so many others, hope to share plenty of it with my child and have fun with it. thanks! I have wanted to incorporate music appreciation for a couple of yrs. now, but haven’t been able to alot the time or money. Zeezok looks fantastic. I love the different modalities of learning (auditory,visual..) and the lapbooking component makes it perfect. We would thoroughly enjoy this! I would love to win this curriculum. I am teaching my children piano and one is taking mandolin lessons and the other guitar I still don’t have a music appreciation curriculum that we use. Zeezok sounds great! This looks like an amazing way to add music study to homeschool. I need a guide to implement music appreciation. I like that everything is included rather than links as we homeschool away from the computer. My music loving boy would love this study! I have read a few of the books to my children and we all loved them. It would awesome to get the rest of them to enjoy. Oh, and one more thing you might be interested in. If you want a GREAT source for classical music, check out the WCPE radio station based in North Carolina (88.7 FM or theclassicalstation.org). They play classical music 24 hours a day, and it’s wonderful! I’ve learned a lot about many composers since beginning to listen to the station (our local station now carries WCPE for the majority of the day) and I’ve gotten to where I can no identify certain pieces of music that I didn’t know before. 🙂 It’s a great resource as well as pleasure! Thank you Sarah! I’ve been enjoying that station! I would love my children to be able to identify classical music by different composers. This sounds like a wonderful way to learn about various composers! I would like to study any of the classical composers. I know this is an area where I need lots of help. I did not grow up in a musical home- I know very very little about any of those guys or their music! I will admit, my appreciation is sometimes low too. I need this curriculum just as much as my 5yo does! I would love to check out this material for my girls! Thanks for this review. 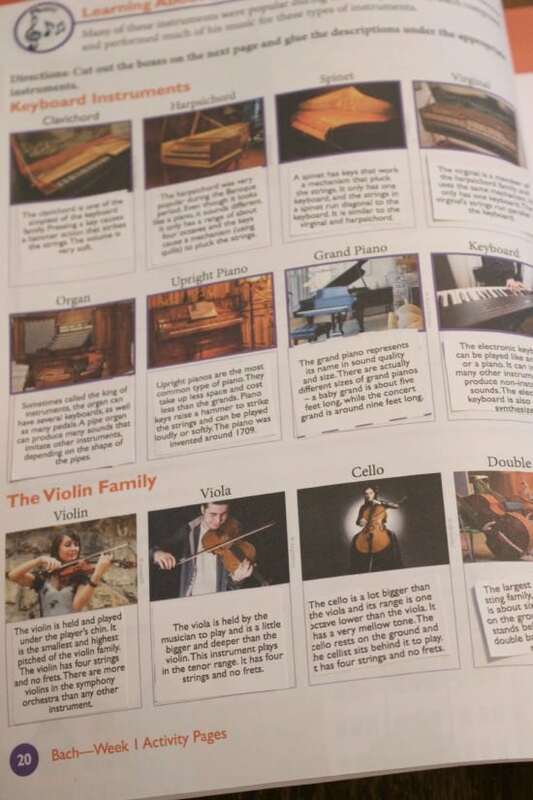 One of our observations about these types of curricular books is that they sometimes focus almost exclusively on a small set of Western European composers and are mostly about teaching facts about music. Do the Zeezok books cover diverse music from around the world? How do they get kids engaging with music actively? We’re always interested in excellent resources that promote active engagement with music and are starting to share some of our ideas and projects on our site for those who are interested. This is really great . Our family is full of musicians, my wife is a piano teacher and our two sons each play a different instrument. Needless to say, music education is a high priority for our family. I believe that Music appreciation is important for all children to learn and is a powerful tool that helps children learn new thinking skills.